One of the luckiest times of my life was the two years I spent in the Bennington Writing Seminars. It’s been over a year since I finished, and I’m still learning the ways in which it was more than just an MFA. It was an initiation into the writing and reading life that was rooted in devotion, community, and joy (also neurosis and dancing). I will never forget the workshops of my first residency at Bennington. They were led by Ed Ochester and Amy Gerstler — two poets I consider poetry gods. Walking in and finding a seat at the long seminar table, I was keenly aware of how much I had to learn and how much I wanted my poems to be better than they were. I was achingly nervous. 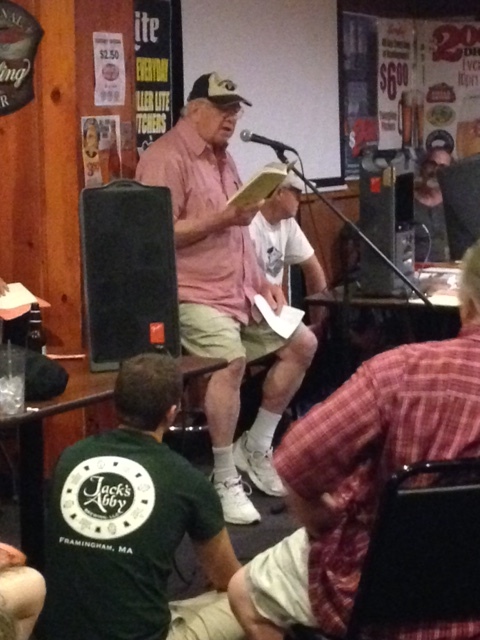 And then Ed started the first workshop by reading from Frank O’Hara’s Lunch Poems, followed by a poem by James Wright. And he choked up as he read, saying something like, “This is why we do this.” It made me feel that we were all in this together — that writing poems was, first and foremost, about loving poems we’d read, and trying to honor those poets who had changed our lives. I could do that. And, it reminded me that I was allowed to have my heart in my writing. That’s what Ed’s poetry teaches and encourages me to do. To write in real, embodied voices, to “like complexity / not confusion.” To work toward beauty and heart. This heart often comes out in his poems in hilarity, or irony, or the perfect, resonant dialogue and detail (for instance, the haiku “Karaoke Night at the Serbian Club, South Side, Pittsburgh”). If you haven’t read Sugar Run Road, Ed’s newest book, or his many other books, you should. Here are two of my favorite poems from the book. “the private life” is an insult to others. and her father’s radioactive chambers.